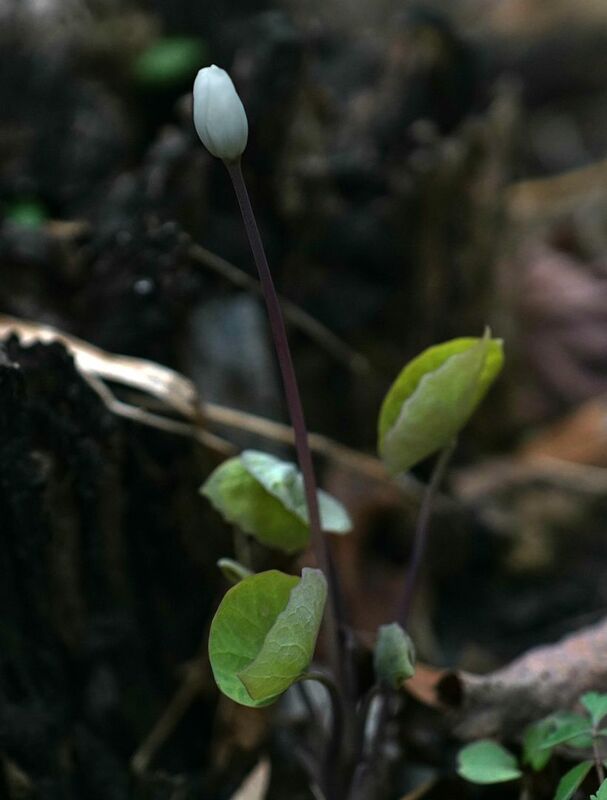 Twinleaf is flowering, Jeffersonia diphylla. 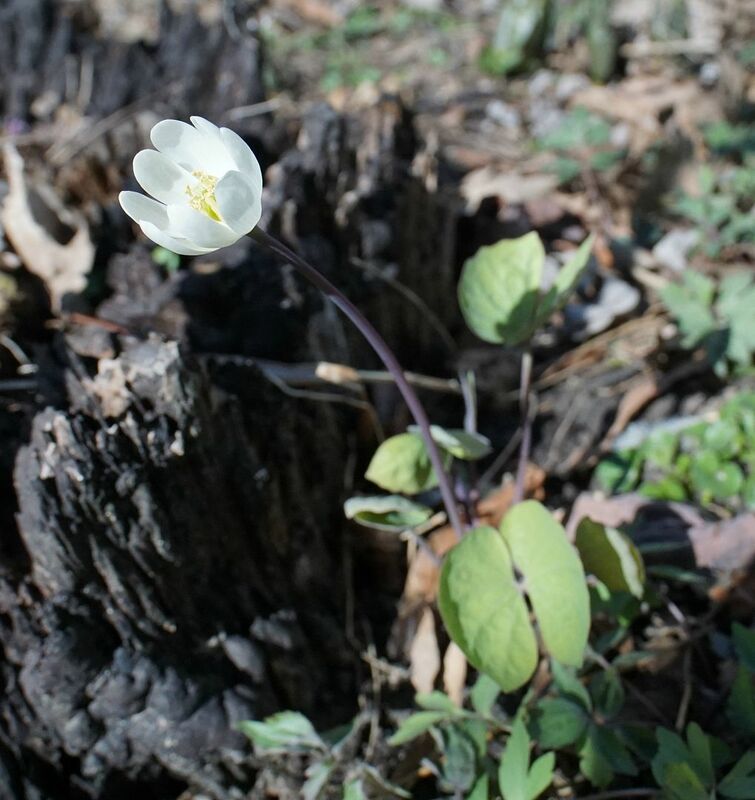 One of the most fleeting of our spring wildflowers, they only bloom for between 8 hours to 2 days, and that's it for the year! This one plant in particular is flowering sooner than other ones in my yard, likely because it's positioned in full sun and not in a place where leaf litter piled up. 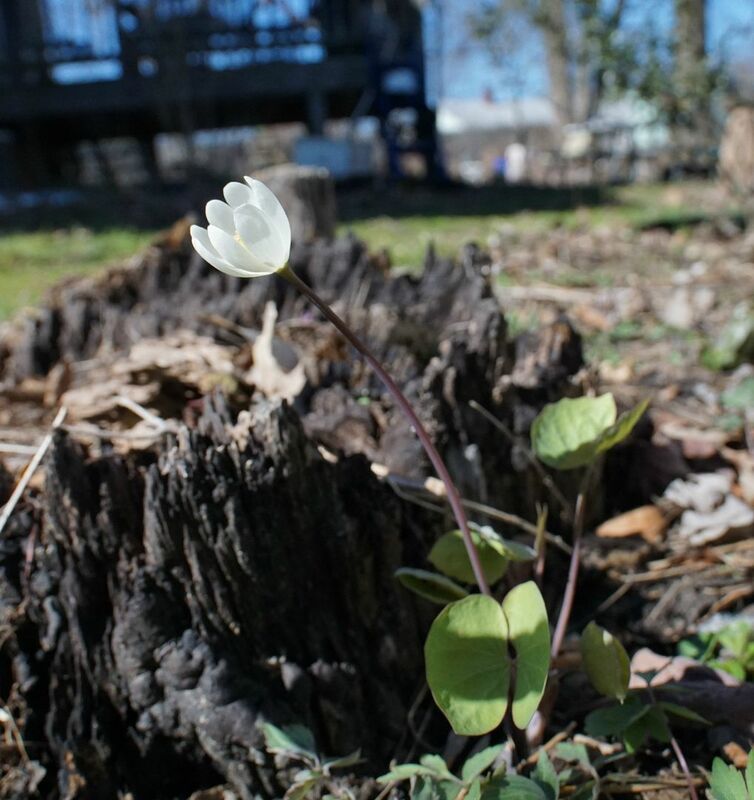 I don't bother to remove the leaves from my gardens and use them as a natural mulch; even so, they still tend to gather up or blow out in places. Twinleaf plants that are only a few feet away from this one have only just pushed out of the ground. Pollination has always been an issue for this species. 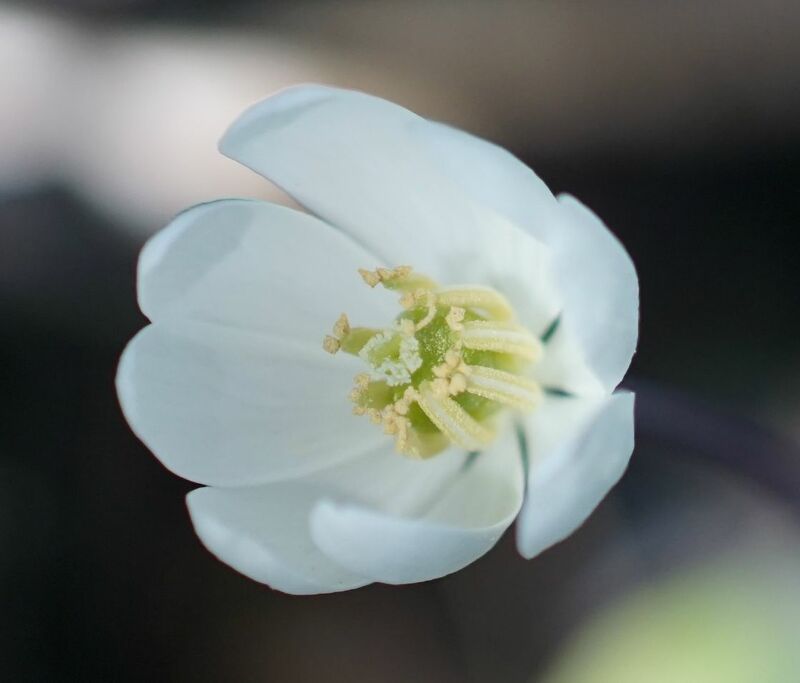 The flowers basically open with the pollen anthers touching the stamin so they almost always self pollinate. I'd love to test out and see if cross pollination would increase the size of the elaiosome packets on the seeds but rarely get more than one individual plant flowering. 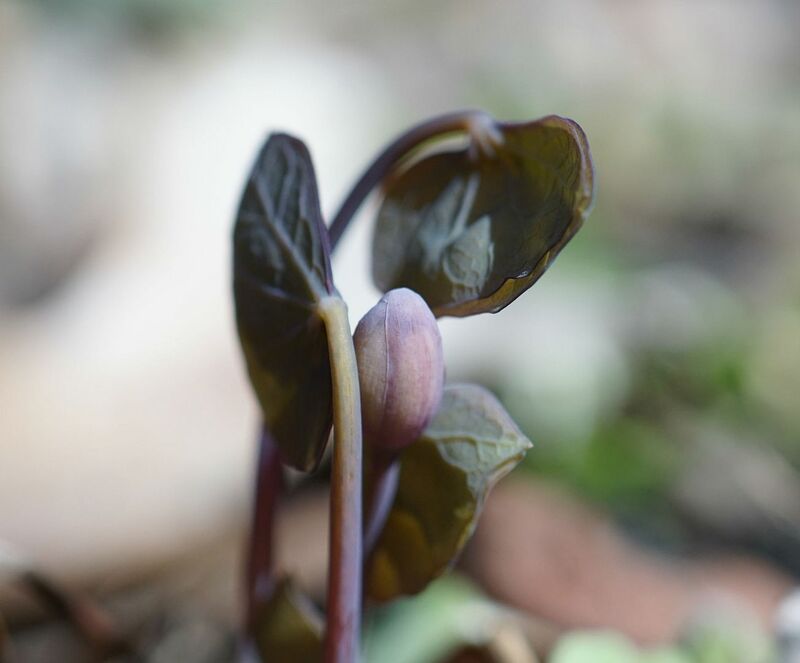 Just a few feet away, other Twinleaf plants are just emerging. Clearly I should have put them all as one clump instead of spreading them out as I did. You wouldn't think 3' would make that much of a difference in bloom time but for this species it does. 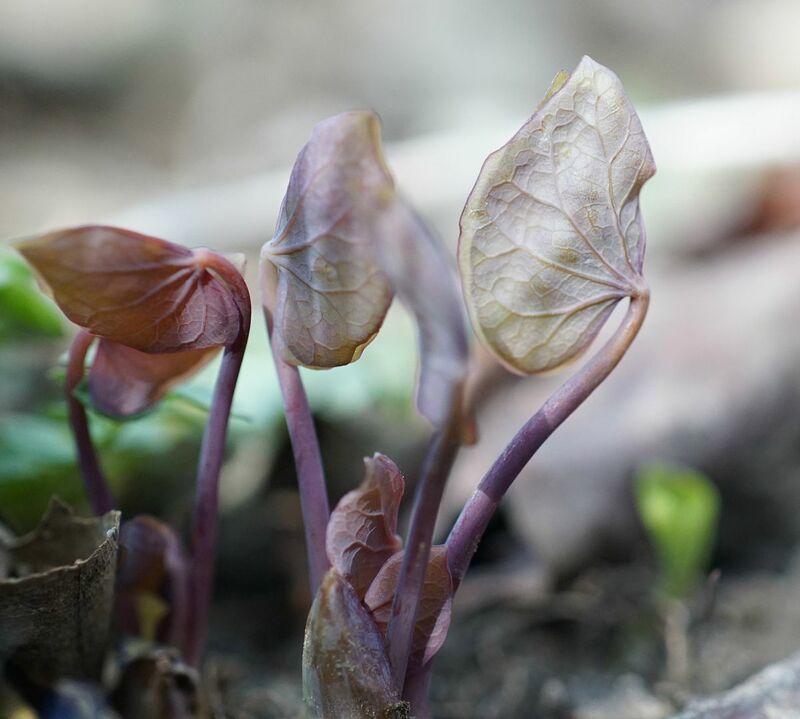 The slightest difference in sun exposure and leaf litter greatly effects when they emerge. And for a species with such a short flowering time, it's an issue. This one is just coming up with it's bud and likely won't even flower for another week or two. By then the first plant will have faded.